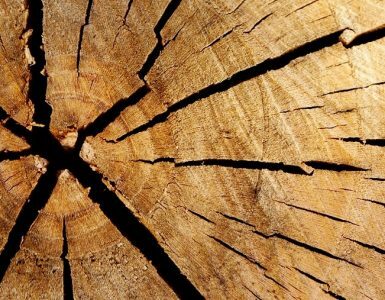 If you have never read anything about the Old School and the New School you may be thinking that the two could not continue to exist together because it was a disaster from day one. You would be correct. 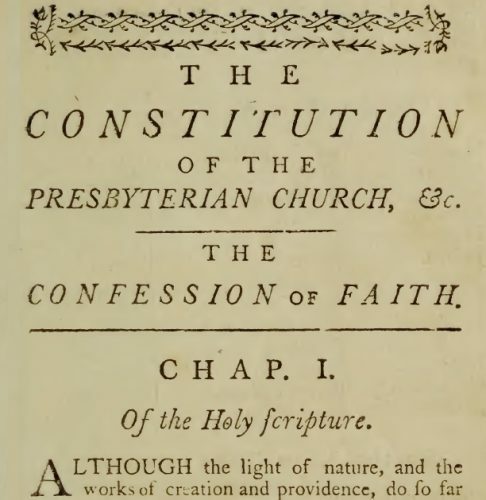 The point for the beginning of trouble was seen by the Old School to be 1801 when the Plan of Union with the Congregational Churches was accomplished for the purpose of joint work in some ministries, especially missions. There were those who opposed the Plan of Union, but their appeals were not heeded. As the years passed, the members of the respective schools found their points of difference more polarizing, especially as the issue of slavery sectionalized both the nation and the churches. At the 1837 General Assembly of the PCUSA, the Old School had the majority and was able to undo some of the affects of the Plan of Union, break the relationship with the Congregationalists, and eject the New School. Obviously, it was not a happy situation following the 1837 General Assembly. The press, both private and religious, reported some of the unseemly moments on the floor of the assembly as commissioners railed and argued while the moderator and others called for calmness. 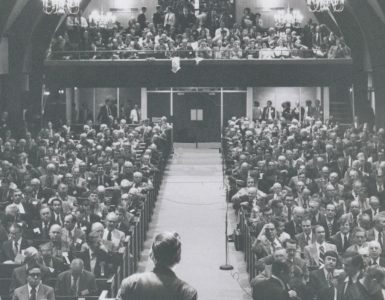 Following the division, both sides claimed to be the true PCUSA which led to the attempt of the New School to meet with the Old School in its assembly the following year, which did not go well and resulted in the New School having to leave for another building for its sessions. 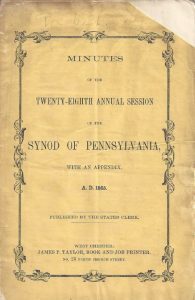 An examination of the title pages of the general assembly minutes of each school shows that each believed itself the true PCUSA so that the only way to distinguish the minutes by using their title pages is by reading the place of location–Philadelphia for the Old School and New York for the New School (except the first year of the New School). The Old School lost a substantial number of churches to the Presbyterian Church in the Confederate States of America (PCCSA) in 1861 as a result of the Gardiner Spring Resolutions concerning the churches’ allegiance to the Federal government and issues associated with the Civil War. Commissioners from the South and some in the North believed the resolutions resulting from Spring’s impetus were placing a political requirement upon them for membership in the church. During the war, the PCCSA, reunited with the fairly small number of New School churches in the South many of which were in eastern Tennessee. The Old and New schools of the PCUSA reunited in 1869. The PCCSA changed its name to Presbyterian Church in the United States (PCUS) in 1865 and it reunited with the PCUSA in 1983. Please download the free PDF of these minutes at the link below. The digital minutes were scanned from a copy owned by the author of this site. 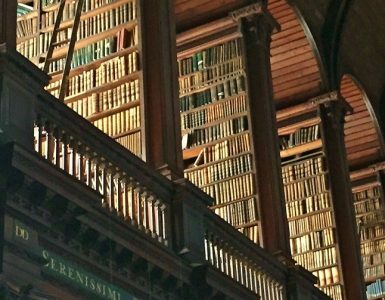 The minutes have an appendix that includes the synod’s standing rules; a directory of the presbyteries, churches, ministers, and elders; and there is a list of synod and presbytery officers. 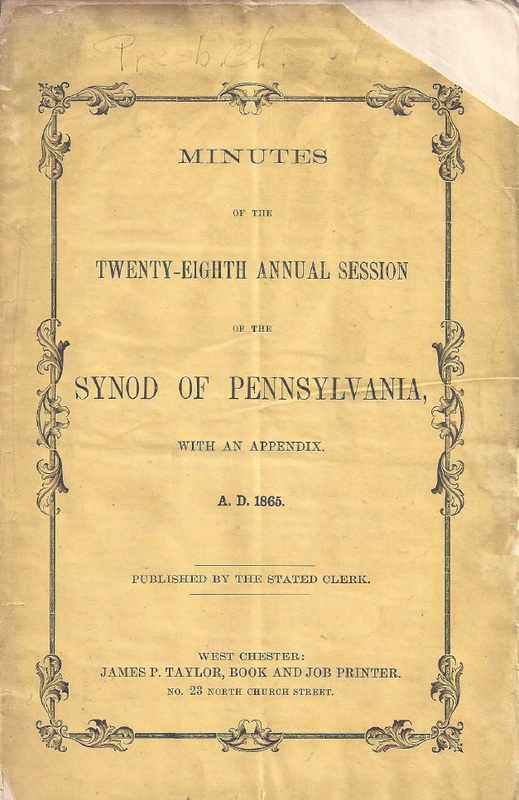 For a free PDF copy of the Minutes, New School Synod of Pennsylvania, Oct. 17, 1865, click Download Now!